50 ACRES! Opportunity Knocks! 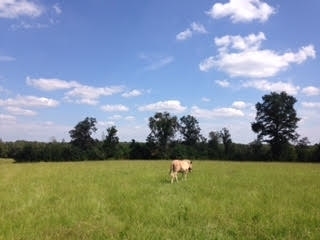 If you&apos;ve been searching for that peaceful, beautiful Northeast Texas land to build your home, THIS IS A "MUST SEE"! Located in Atlanta ISD, this fenced, manicured pasture with scattered hardwood trees around the perimeter features privacy and security at the end of County Road 1150. The sky seems bigger and the stars seem brighter out here (conveniently located only 5 miles/minutes from town) because of the high elevation and you&apos;ll enjoy relaxing and watching deer, squirrel, and a variety of animals play across the wide open pasture! Electricity, well water, and septic utilities are already in place to make this property a great value by saving you time and money on your home project! Act now! Land opportunities like this do not come available often!